Bolivia has long been the odd one out among Andean countries. Unlike neighboring Peru, it receives few foreign visitors, despite having sensational scenery, 20,000-foot mountains and a colorful and relatively intact indigenous culture. Indeed, until recently, Bolivia had few hotels of note, even in the capital city, La Paz. Things are beginning to change, however. 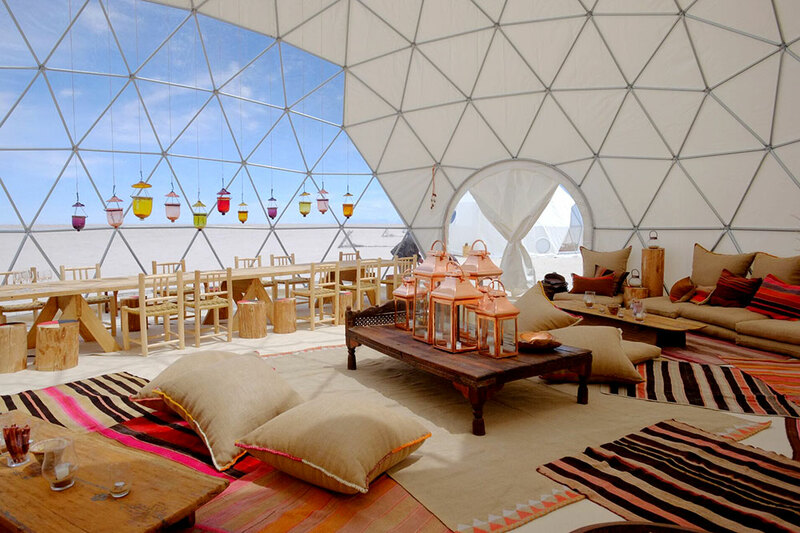 Kachi Lodge, a new property of six futuristic bedroom domes with private baths, plus a large communal dome, is set on the spectacular Uyuni Salt Flats at nearly 12,000 feet on the Bolivian Altiplano. Designed by Amazing Escapes, a Swiss company that specializes in bespoke, far-flung camping trips, Kachi Lodge will bring a previously unknown degree of luxury to the wilderness, including cuisine masterminded by chefs from the acclaimed Gustu restaurant in La Paz. More-adventurous travelers will be able to hike to the lip of Tunupa volcano, visit local salt-gathering communities, explore the archaeological remains of the pre-Columbian city of Alcaya, go mountain biking and see 1,200-year-old mummy tombs in the village of Coquesa. And if they have energy to spare, they can spend their nights gazing at the cosmos through a telescope.